When Closca Design first launched a few years back, its goal was to make simple, elegant, and thoughtful products that were good for the planet. 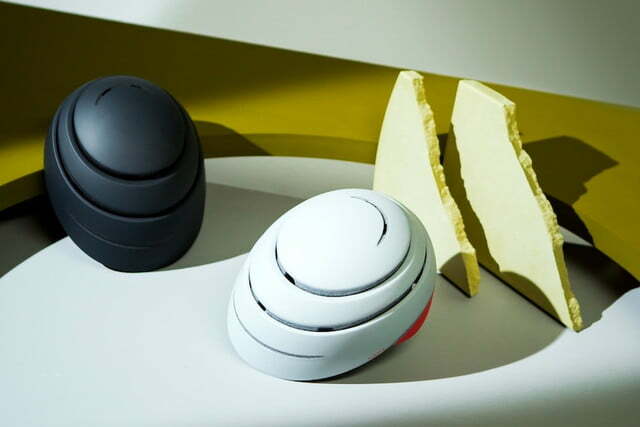 This led to the introduction of the company’s popular water bottle, as well as a cycling helmet, both of which stood out from the crowd thanks in no small part to their unique design aesthetic. Those elements were so strong that the bottle and helmet were recipients of the prestigious Red Dot Awards for design excellence. 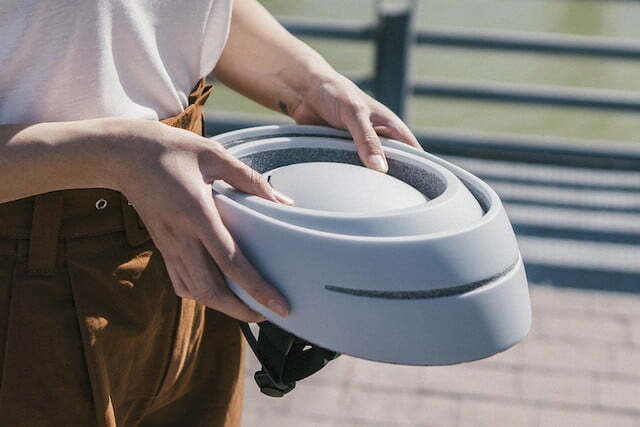 Not ones to rest on their laurels, the Closca team has released an updated version of the helmet that embraces its urban roots even further. Dubbed the Closca Helmet Loop, the new model is lighter, smaller, and less expensive than the original without sacrificing safety or looks. 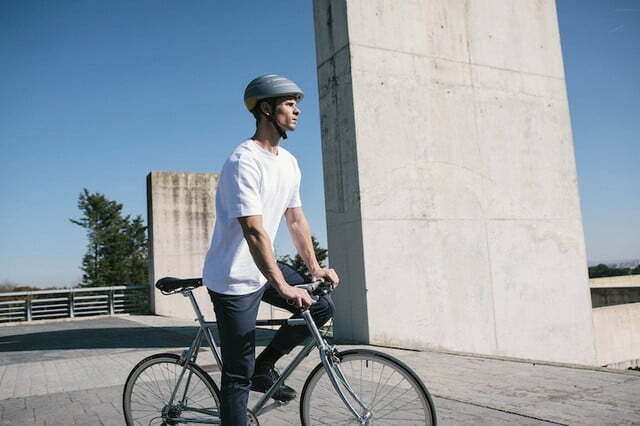 Available in two sizes, the helmet comes equipped with an elastic headband that is not only comfortable to wear, but provides a secure fit for all cyclists. Integrated ventilation grooves help to enhance the level of comfort even further by keeping the air flowing throughout a ride. One of the more intriguing aspects of the Loop is its ability to collapse down in size for easy storage. 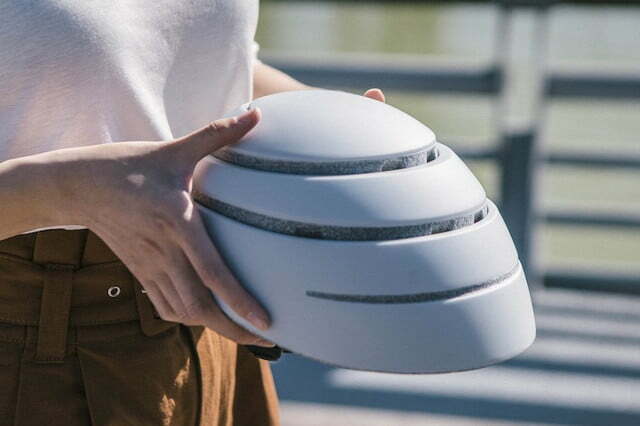 Closca says that when it is in its folded state, the helmet takes up 45% less space, which comes in handy when storing it in a backpack or messenger bag. And since it weighs a little less than 12 ounces, it doesn’t add much in the way of bulk or weight when carrying it around either. Most importantly of all, the collapsible nature of the Loop’s design doesn’t impact its ability to protect a rider’s head during impact, as it still maintains both an EN-1078 and CPSC safety rafting. 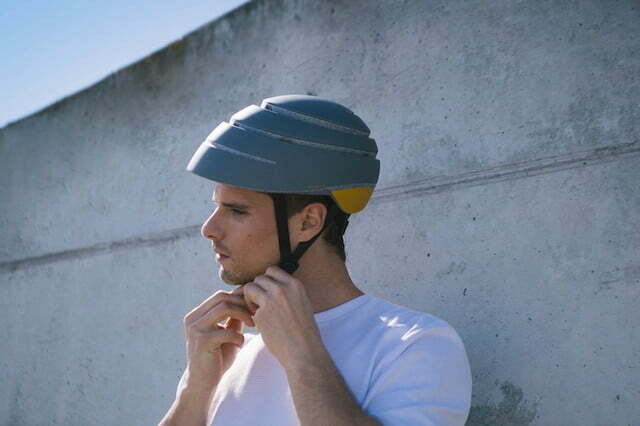 As with Closca’s previous designs, the Helmet Loop features a clean created specifically with the urban rider in mind. The company’s latest model is a bit more aerodynamic than the previous helmet, and uses color combinations to give it a distinct look all its own. 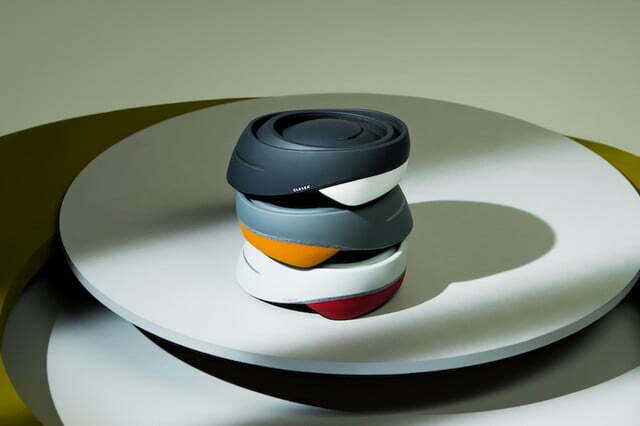 Customers can customize the helmet’s body and back, choosing from an array of colors that provide 15 unique combinations in total. The Helmet Loop is also considerably less expensive than its predecessor, coming in at 7o euros. That converts to about $79 U.S. for those looking to import this stylish product. Find out more on Closca’s website.